Now there is a cool Love Minnie Mouse Sticker. The die cut sticker spells LOVE but the O of the word is also the head of Minnie Mouse including the famous ears and the bow she has in her hair. This vinyl Minnie sticker is available in a whole bunch of sizes and is removable without worrying what sticky mess will be left behind. A Disney sticker like this will look great on your laptop, wall, journal and about any other flat surface you like. 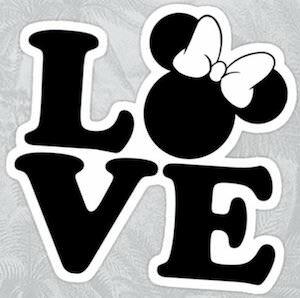 So if you really love Minnie Mouse then show the world that you do and this sticker will do that for you. 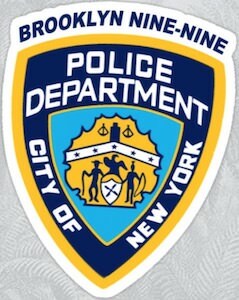 Now there is this Brooklyn Nine-Nine Police Department Badge Sticker. If you are a big fan of Brooklyn Nine-Nine and want a cool sticker then this vinyl sticker is what you should check out. The sticker is cut in the shape of a police badge and looks like a badge used by Jake, Rosa, and the others. The police badge sticker is available in different sizes and will look great on almost anything like your car, laptop, journal, or anything else flat you like to make Brooklyn Nine-Nine themed. With a sticker like this, you feel like you are Raymond Holt approved. 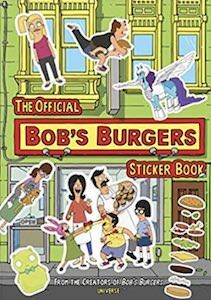 Now you can this fun Bob’s Burgers Sticker Book. This book has 100 stickers inside it and yes all the characters you expect are in it and even the pieces you need to make the perfect burger. And besides stickers, there is more in this book like trivia, songs, and quotes so that if you have used all your stickers you can still use this sticker book only without the stickers. So now you can decorate boring things with fun stickers making it way cooler and as it has a Bob’s Burgers sticker on it there is just more to look at. And you can just get a plain binder or journal and then it becomes fun Bob’s Burgers items. Now you can have this Harley Quinn Car Decal on the back window of your car. 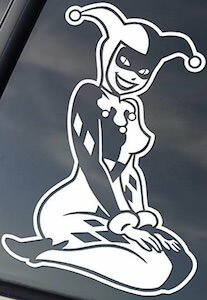 This window decal show Harley Quinn in white and she is sitting on her knees with a big smile on her face and that looks kind of sweet but we all know that this is just a phase until she is ready to do something evil again. The vinyl decal is about 6.75 inches tall and is made for the elements so on your car window it should last a while but you can use this sticker on different surfaces too like maybe your computer or a window in your home. 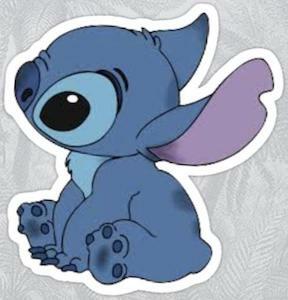 Disney fans can now have this Stitch Sticker. The sticker shows a curious Stitch just like we know him from the Lilo & Stitch movies. And this fun sticker is die cut with a white border and this is a vinyl sticker and that means that you can stick it to almost anything as long as it is flat. Stitch will look great on a laptop, book, window, or even your car or bike. I am sure that you will love this sticker and it is just a fun way to decorate things with the cute Disney creature. Now there is fun The Blue Cat Lodge Sticker. 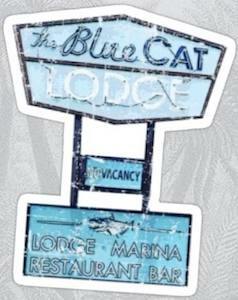 If you know about Ozark then you know all about The Blue Cat Lodge and now you can own a die cut sticker of the road sign of the lodge and you can get this sticker in a bunch of sizes so that it fits perfectly on the place you want it. The famous Netflix tv series is amazing and so is this blue sticker that says everything you expect from the sign and adding the sign to a book, computer, or maybe even a wall or window is just a great way to show how much you like the Ozark show. If you are a Peanuts fan that like to write then you should check out this Snoopy and typewriter sticker. This Snoopy sticker is vinyl and is available in a wide range of sizes. 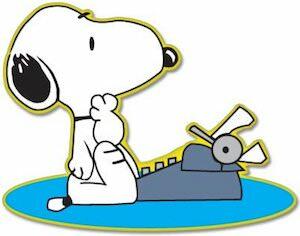 The sticker is die cut and shows a blue oval that is like the ground and on it you can find a big typewriter with Snoopy sitting in front of it while he is thinking what to write about. A fun sticker like this is great for on your computer because then people know that you use it to write while thinking about Snoopy and his adventures. 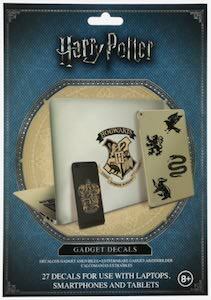 If you are a Harry Potter fan that wants to decorate their devices then you should check out this Harry Potter decal set. These Harry Potter decals are made for your gadgets so that you laptops, tablets, and smartphones will look like something Harry would use. The decal set includes 27 decals and if you click on the picture you can see the decals included in the kit but the obvious once like the Hogwarts logo and even 9 3/4 are all there so now you just have to choose what you like your device to show and look so much cooler. Now Star Wars fans that like stickers can get this Solo ultimate sticker collection. 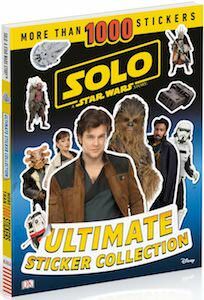 This is not just a Star Wars sticker book this is a sticker book all about the Solo movie so yes you will find Han Solo inside it and a lot of the characters from the movie. And besides sticker the book has lots of movie details to for you to read so that you know more about the Star Wars Solo movie. There are not just a couple of stickers, there are more then 1000 stickers in this book and you can use those to make everything Star Wars approved. If you like Tinker Bell and would like to ad her to your home then check out this Tinker Bell light switch decal. The sticker comes in two sizes and in black, white, and pink. 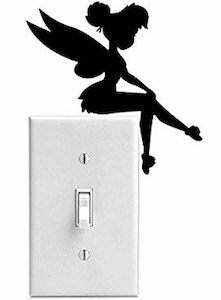 The decal you can put above your light switch and that makes it looks like the cute Disney fairy is sitting on top of you light switch. And this wall decal can be easily installed and removed so that you can have Tinker Bell sitting where you want and when you want. This cute decal will be fun in kids rooms but even adults can enjoy seeing her. And if you don’t want her on the light switch then you could put it on you car, computer, or anywhere else.